There are so many books…Taoist, Buddhist, Qigong, and Taiji. There have been hundreds of books in my life and it may take me that many years to flesh out this list, but I will do my best! Since Taiji is a Taoist art I will start with some of the works from the Taoist canon. I list them somewhere between the chronological order that I read them, their historical age, and their relative importance (to me) as it pertains Taiji, Taoism, Buddhism, Qigong, Meditation, Chinese Medicine, and Philosophy, etc. 1. Tao Te Ching (Dao De Jing) by Lao Tzu “The Classic of the Way and it’s Virtues” I have read many translations of this “source book”, my favorites are by Jonathan Star and another by Stephen Mitchell. The Tao Te Ching is full of wisdom in 81 easy to digest verses and it is the second most popular book ever written topped only by The Bible. 2. Chuang-Tzu (Zhuang Tzu) A compendium of stories and fables; a perennial Taoist text. Master Chuang writes in a humorous story style that is compelling. 4. I Ching (The Classic on Changes) Perhaps the oldest book ever written. It was later added to by various sages, in an attempt to understand the nature of “change” and how events must unfold based on the mathematics of their energies and the balance and harmony of the same. 5. The Complete Book of Tai Chi Chuan by Wong Kiew Kit A great book, one of the first ones I read on Taiji. 7. Tai Chi Chuan Applications by Dr. Yang, Jwing Ming Dr Yang is a prolific writer (I admire his energy!) I have many of his books. This one is the best book I have found describing the applications of Taiji. Written for beginners yet it contains information most advanced Taiji people have never learned. 8. The Taoist Classics (4 volume set) by Thomas Cleary Mr. Cleary s a true genus; translating many books. This set has 15 books in 4 volumes and it was recently released in soft cover. Mr Cleary’s work is sometimes a bit difficult, and I prefer simpler translations, still I highly recommend him because of the large amount of work presented. 9. Classics of Strategy and Counsel (3 volume set) by Thomas Cleary Another great set, this one contains 12 books. Lots of great philosophy from places as diverse as Greece, China, Japan, The Middle East, Persia, and others. 10. Chronicles of Tao by Deng Ming Dao This is a compelling story, an account of a modern day Taoist’s life. One of the best books I have ever read. 11. Awaken Healing Energy Trough Tao by Mantak Chia I have 8 books by master Chia and while I would say, most are beyond the understanding of beginners, I do recommend this book as an introduction to the “Mantak Chia, Healing Tao approach.” Covers opening the “microcosmic orbit” a basic Taoist technique of meditation. 12. 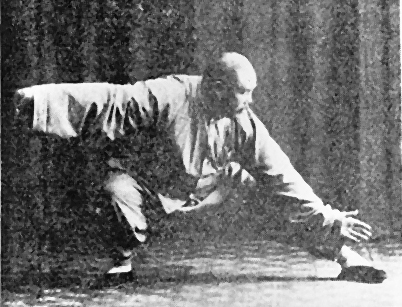 The Roots of Chinese Qigong by Dr. Yang, Jwing Ming I have many of his books. This one is the best book I have found describing the basics of QIgong Written for beginners yet it contains information most advanced people have never learned. 13. Iron Shirt Chi Kung by Mantak Chia Another great and classic book from Master Chia Read the first one first however. This book works with standing postures and will help you get very thorough understanding of advanced Zhan Zhuang I would not attempt to do some of the breathing techniques in these books with out instruction however. 14. Chinese Medical Qigong Therapy by Jerry Alan Johnson This 1100 page book is the most comprehensive book on the subject I have owned it since 2001 and keep reading it and reading it, like many of my books..absolutly huge and definitive this book is a must if you want to “go pro” and get TMI. 15. Cultivating Stillness translated by Eva Wong This is one of those “lost texts” that offers a rare insight into Tao. Written with a slightly Buddhist influence it compels one to contemplate the thinking of the Chinese and their approach to meditation. Also it contains symbolism to help elucidate the reader towards understanding Tao. 16. The Art of Peace by Morihei Ueshiba One of the great masters from Japan; Morihei was the founder of Aikido. Paralleling Taoist thought from a martial artist that was also a pacifist, this book helps define the meaning of life. 20. Taoist Health Exercise Book by Da Lia Master Liu published this book in 1974 it is a small and simple primer on Taoist arts. if you can get a copy… someone recently gave me a copy of this older classic work. Pretty cool! There are three that I recommend. All are superb,each for a different reason. 1. Qi Journal This excellent magazine is well produced and has very pithy articles about Qigong, Taiji and all things Taoist. Also many books are available through the magazine. You can find it at Borders or Barnes and Noble, or subscribe. This is the best publication for the “Way” and I support it because we have so few available. 2. Tai Chi Magazine Going on 33 years of publication this is the only magazine dedicated to Taijiquan. Another great source for finding books and videos on Taiji. Again this should be available at Borders or Barnes and Noble. 3. The Empty Vessel I love this magazine. Always good stories and articles. Not as fancy as Qi Journal but simply produced and I am sure the traditional Taoists would be proud.